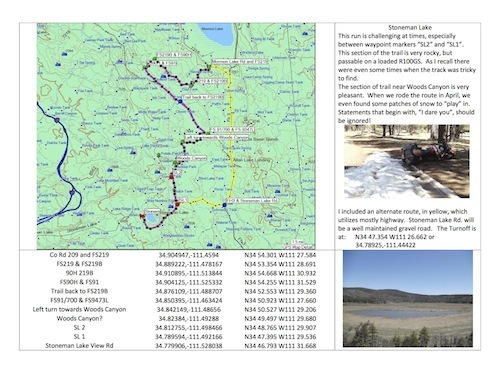 Create a caravan to Overland Expo 2019 WEST with the Overland Bound Rally Point software! Make plans to roll out with your crew, or connect with others in your area who are headed to Flagstaff, AZ in May! 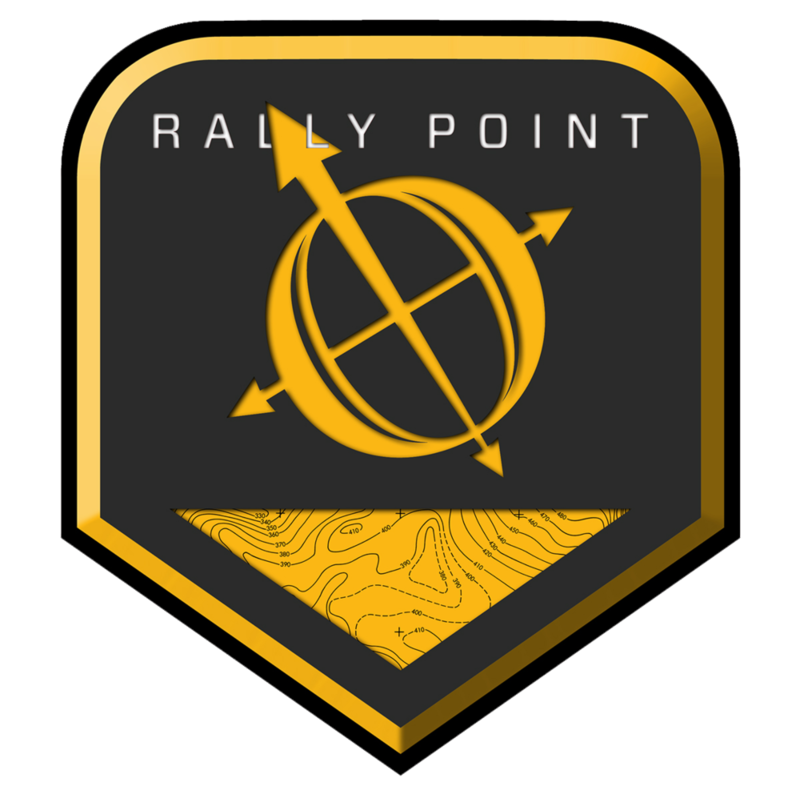 Simply fill in the event details and Rally Point will create an announcement page visible on OverlandBound.com that is shareable. Get started here. Looking for more ways to connect with others? This May, NMBR will be guiding a 500-mile expedition en-route to the Overland Expo West that will traverse New Mexico and Arizona’s loneliest backroads—2019 will mark the 9th year New Mexico Backroads has guided a multi-day expedition in connection with the Overland Expo West. The Ghost Divide Expedition route will include a diverse range of cenery, history, terrain, and backroads found nowhere else in North America. Landscapes and terrain will include desert, grassland, chaparral, canyon bottoms, wildland burn scars, and dense forest with elevations ranging from approximately 4,250 to 9,575-feet. Road types and conditions will include washboards, two tracks, primitive non-maintained, graded, mountain shelf, dirt byway, and (least of all) pavement. The Ghost Divide Expedition will provide outstanding vistas, historic landmarks, and wildlife viewing opportunities (including Mexican grey wolf territory). During the overland based adventure, NMBR will cover a variety of topics including area history, vehicle maintenance, overland tool kit assembly, driving techniques, vehicle dynamics, and other 4WD-based skill building subjects. For those that join in, the only guarantee is that they will conclude their adventure with new friends, dirty rigs, big smiles, and an accomplishment that will make their fellow overlanders envious. Visit New Mexico Back Road's website or email for full Ghost Divide Expedition details, pricing and registration information. Join a fully guided all-inclusive tour, as they take you through the state of Arizona to the Overland Expo by the best means possible: overland. On this exclusive tour we’ll tackle some of the best parts of the AZ Backcountry Discovery Route and other locals-only trails as we make our way from Phoenix to Flagstaff to join in the incredible offerings of the OX. Rent a fully-equipped adventure bike from us, or come along on your very own machine. All accommodations and logistics are taken care of, including hotels, and catered camping amenities, along with the full Overland Experience Package so you can really get the most out of this amazing event. Register by APRIL 15th, as this tour will sell out. Don’t miss an amazing opportunity to join us on some of the most incredible off-road riding and the best event for adventurists like you. Every couple of years MotoDiscovery creates a special Tribe Ride for their friends, past tour and training participants and staff. Join MotoDiscovery for a dual-sport riding adventure over 5 days, 4 nights and 850 miles of riding in Utah & Arizona. This tour starts and ends in Flagstaff to coincide with Overland Expo WEST. This is a very inclusive 5-day adventure ride, consisting of on- and off-road sections of various challenge through incredible scenic areas including the Grand Canyon, Navajo Nation, Bryce Canyon and Zion National Parks, Grand Staircase and more. For more information, please give them a call at 830-438-7744. If you are looking to incorporate some off-the-beaten-path travel into your journey to Overland Expo, you may want to check out Offroad Trail Guide. They have thousands of tracks across the country, searchable by mode of transportation, location and difficulty. There are many varied routes in the Flagstaff / Grand Canyon area for you to explore as well. 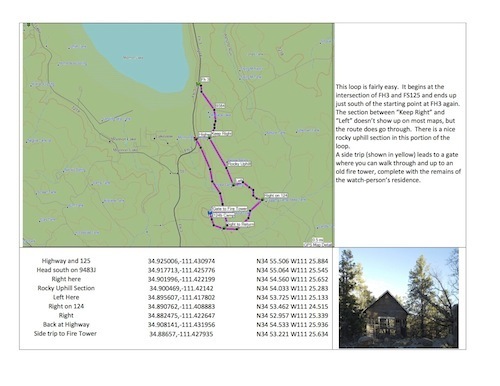 Download their mobile app for offline maps options and a campground locator. 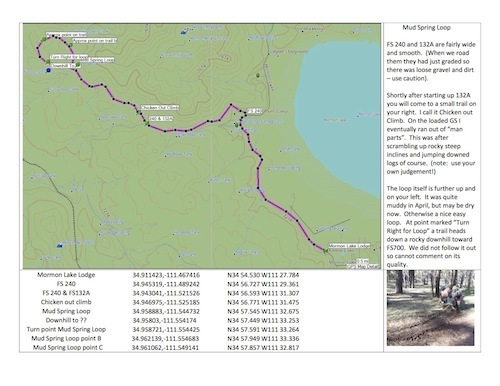 You may contribute your own trails and routes using the "record" function to help grow their trail library. Northern Arizona and the Four Corners region are a world-class destination, home to the Grand Canyon, the Hopi and Navajo Nations, Lake Powell and Lake Mead, the Colorado River, dozens of parks and monuments—there are just too many to list. 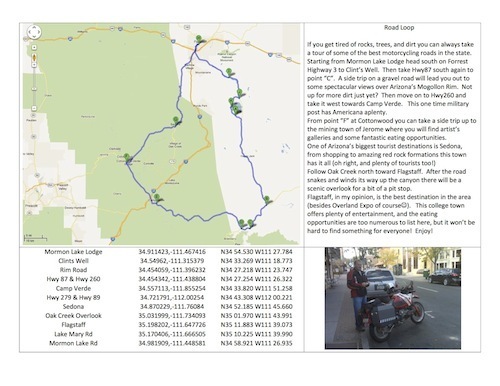 Here are some favorite overland routes around and to Northern Arizona. One of our favorite routes starts at the historic Cliff Dweller's Lodge. Head west on 89A, then south on Buffalo Ranch Road (FS 8910) across the breathtaking plains of House Rock Valley to the rim anywhere near Buck Farm Point - stunning views, and you can camp where you like (just don't sleepwalk). Point Sublime, 20 miles west of the North Rim visitor's center, is another superb spot with developed campsites, and the 60-mile dirt drive from Highway 389 to Toroweap campground is rewarded with a vertiginous view over Lava Falls rapids on the Colorado River, which you can hearfrom 3,000 feet up. By suggestion of a reader, the old Route 66 (B-40) from Kingman to Peach Springs to Seligman is a good detour for bikes and trucks. Don't miss the Hackberry General Store (you'd be hard-presssed to), chockablock with historic Route 66 memorabilia. Plan an exploratory trip with friends during the show, or create some loops for before or after the event. Special thanks to Mark Ordway for putting these together for us! 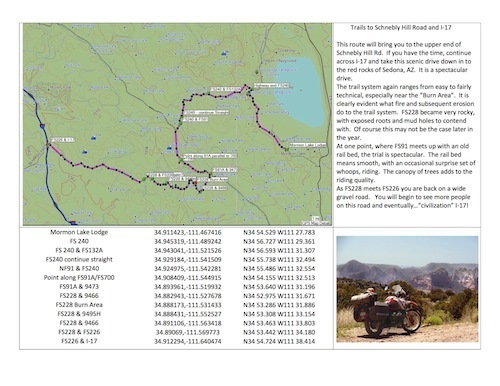 The trails are suitable for an adventure motorcycle or 4WD vehicle. Click image to open PDF; download using your right-click (or other option) to download. Planning an overland route to Overland Expo or have route recommendations? Email us with details.